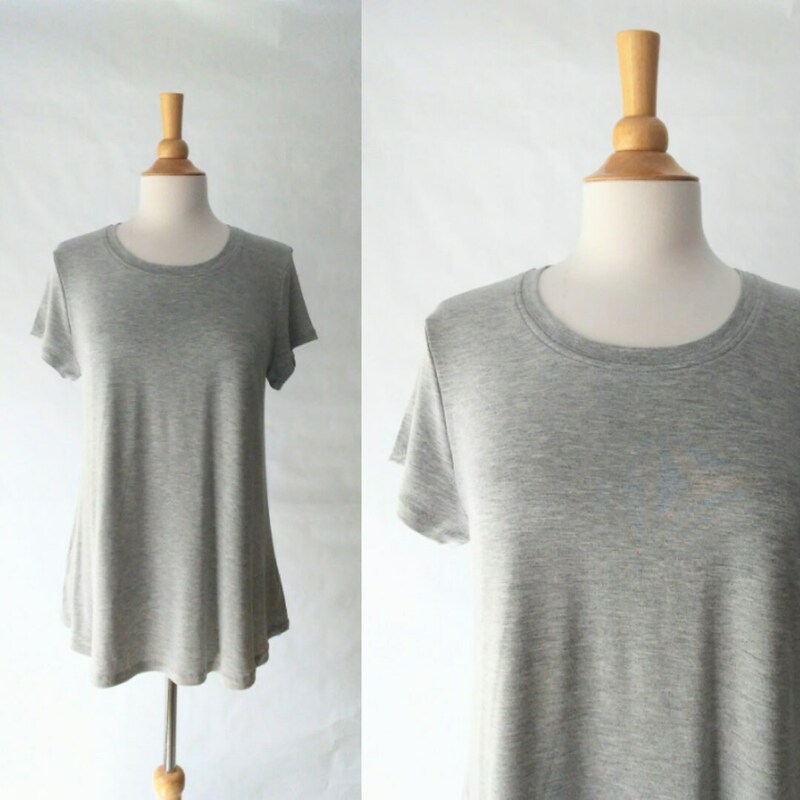 Grey Basic tee. Basic short sleeve t-shirt. 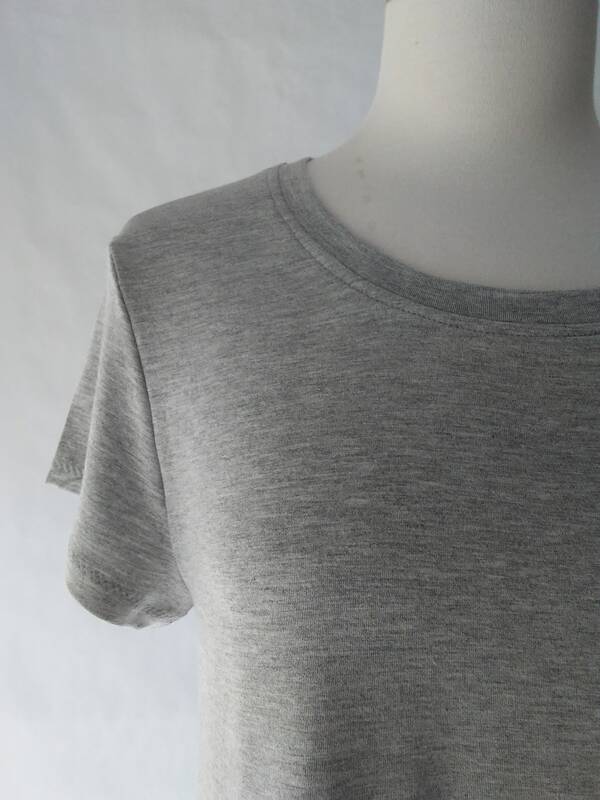 The fabric is a soft lightweight rayon jersey, very soft and drapey. This is a nice basic loose fit high scoop neck swing top with short sleeves. The hem is a slight curve shirt tail hem. The fit is more fitted at the bust with a loose aline flare out to the hip. 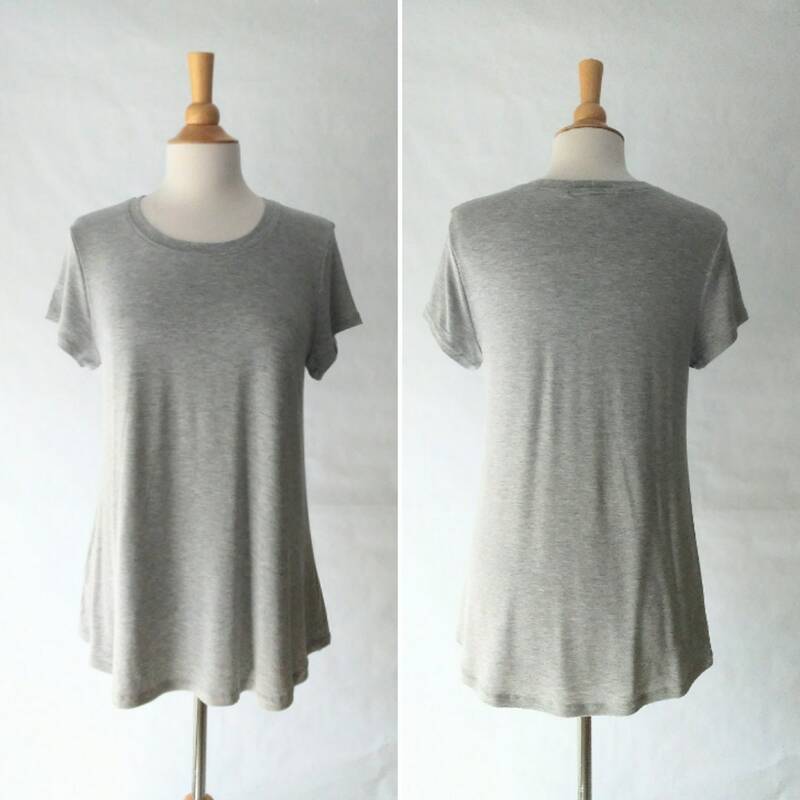 Length from shoulder to hem is about 27"
This top is made and ready to ship in size MEDIUM light Heather grey as shown. Yes, I sell wholesale! If you are a Boutique please contact me for details. I pre-wash and dry all of my fabrics to minimize any shrinkage for you. Most of the fabrics I use are 95% cotton 5% lycra, which can be machine washed warm and tumble dry low. I sew care tags into all of my garments for you to reference. I wrap all orders in kraft tissue paper and tie it nicely with string. I use tear proof mailers for the smaller orders and USPS priority boxes for larger. I do my best to keep packaging minimal to avoid waste and reduce shipping costs. Most items become custom, because I make most items as they are ordered and I always encourage you to include your measurements if possible. Whether you purchase a Ready to Ship item or a Made to Order item, I will still gladly accept them back for exchanges or refunds. I certainly understand online shopping is tricky and I want you to be happy with your handmade garments :) I am always available to answer any questions, and help you with this process as best as I can!